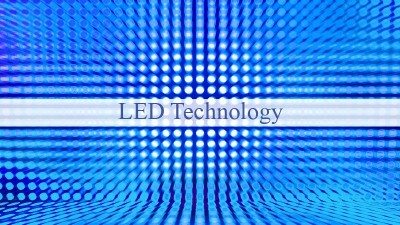 LED (Light Emitting Diode) is a lighting device comprising of solid, conductive materials known as semiconductors. The electric current combines within the solid, conductive substance between the insulator and the metals. When this current passes through the LED, light is produced. This technology whereby light is generated by a solid semi conductor, distinguishes it from other light sources such as incandescent lighting which uses heated filaments. LED technology has grown and developed, overcoming previous limitations in colour and brightness to become an incredibly versatile and energy efficient light source. There are many advantages over incandescent lighting as LEDs are of superior quality created with safe and durable materials. The main benefits are: energy efficiency, cool running colour, versatile colour-temperature adjustments and long lasting life expectancy. LEDs are energy efficient as they convert energy to light instead of heat, therefore producing more brightness whilst using less Watts. As a result they are eco-friendly and cost effective using up to 90% less power. Using LEDs reduces harmful CO2 levels emissions being released into the air due to less heat being produced as wasted energy. LED lamps use less energy than an incandescent or halogen bulb of equivalent brightness. With less heat radiated, LEDs are a cooler lighting solution. It is no longer necessary to use Watts as a guide for brightness as a lower wattage LED is capable of providing a brighter output and cooler lighting solution. The cooler running quality of LEDs contributes to their outstanding life expectancy. The intensity of lighting energy emitted is known as the luminous flux which is measured as lumens. The higher the lumen rating, the brighter the lamp will appear. LEDs are energy efficient, achieving a highly luminous output with a low energy consumption. The definition of Lifetime for light sources has two main Characteristics. LEDs have an outstanding life time expectancy of up to 50,000 hours due to highly efficient thermal management. This contributes to their cost efficiency as they do not need regular replacement in comparison to their less reliable halogen counterparts which can often overheat and frequently require replacing. 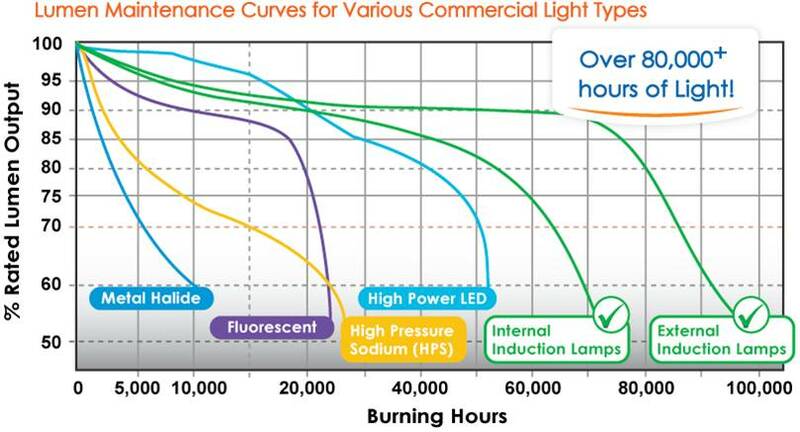 Heat is LEDs enemy, higher junction temperatures lead to reduced light output and premature failure. A suitable heat sink should be incorporated in the luminaire design. In general, the cooler the environment, the higher an LED’s light output will be. Higher temperatures generally reduce light output. In warmer environments and at higher currents, the temperature of the semiconducting element increases. The light output of an LED for a constant current varies as a function of its junction temperature. LED Light output diminishes over time, rather than fail suddenly. Lighting Industry uses a Lifetime metric to express the average time to reach a given proportion of the original light output. For example 70%. The time taken for 50% of the test units to reach the quoted figure: Example 70% would be expressed as L70 50,000. An LEDs’ efficiency can be measured by lumen maintenance and L70 is one of the standards set by the Illuminating Engineering Society (IES). Lumen maintenance measures the light produced by a light source when it’s brand new. It compares it with its light output at a specific time in the future. So a light source which emits 1,000 lumens when new and 700 lumens after 50,000 hours of use has a lumen maintenance of 70% at 50,000 hours. It has an L70 of 50,000 hours. While lumen maintenance ratings of L50, L80 and L90 exist, L70 is most commonly used. This is because the human eye cannot detect the difference in a light’s output until it has reduced by 30%. COB (Chip on Board) lighting uses innovative LED technology to group LEDS together as one lighting module. There is no casing with COB technology which enables a much denser quality of light. A consistent and controlled light beam is given off, without any visible individual light points, thus offering great optics. COB technology gives the best conditions for optimal cooling, which in turn will increase efficiency and lengthen the overall life of the lamp. SMD (Surface Mounted Diode) LEDs are highly reliable and versatile. They have a wide viewing angle suitable for a wide range of illumination applications. The LED is soldered directly onto the PCB therefore requiring less space and improves the thermal connection. Citizen is a well-established LED manufacturer with over 20 years of experience. Their leds are highly reliable and eco-friendly. Most LEDs are dimmabe but to ensure smooth dimming they need to be paired with a compatible dimmer and/or compatible dimmable driver. Overall the LED dimming performance is regulated by the capability of the LED driver/chip and the compatibility of the dimming circuits. LED lamps have a lower dimming range compared to filament lamps as LED currently dim down to about 10% of the total light output in comparison to 1-2% in filament lamps. Many LED lamps have a built in driver which converts a high voltage AC input current to a low voltage DC current to drive the LEDs. The driver in dimmable LED lamps may work with many types of dimmer but not all, LED lamps tend to work better with trailing edge dimmers rather than leading edge dimmers. *GAP Lighting’s L-6 GU10 lamp is compatible with both leading and trailing edge dimmers. LEDs are dimmable via two different types of control. Trailing edge dimmers are also known as electronic dimmers. They are traditionally used for capacitive loads which are low voltage or electronic drivers. Trailing edge dimmers are silent, with no audible buzzing sound. They are not subject to a high rush of voltage, this leads to a high inrush of current. Leading edge dimmers are also known as Triac dimmers. These are traditionally used for incandescent lighting or low voltage magnetic transformers. At every half cycle, they produce a rapid inrush of voltage leading to a high inrush current into the electronic components of the LED lamp. There is an audible buzzing sound when leading edge dimmers are dimmed, the degree of perceptible sound is dependent on a range of factors including the minimum load requirements and lamp design. *We have inline dimmers that can be easily added after installation. These can be controlled via a RF remote that can switch on/off and has a full range of dimming. The LED driver plays a very significant role in delivering flicker free, high quality performance. Less expensive drivers generally have fewer filtering components and use analogue instead of digital circuitry, making them more prone to external electrical noise sources, which can cause as flicker. As trusted manufacturers GAP Lighting are committed to testing all fittings, lamps, drivers and components and will guarantee compatibility and performance between system components, such as drivers and control systems. In order to operate efficiently, LEDs must be powered by a suitable driver as standard transformers are not always compatible and have a minimum load requirement of around 20w. An LED driver is an electrical device which regulates the power to an LED. It responds to the changing temperature of the electrical properties of the LED by providing a constant quantity of power to the LED. LEDs are driven by constant current drivers (350mA, 700mA or 1A) or constant voltage drivers (10V, 12V or 24V). Low voltage 12v/24v LEDs are a cost efficient alternative to replace low voltage (12V/24V) halogen lighting as they use less energy. LED drivers also enhance the life span of LEDs, allowing them to run at their optimum performance. LED drivers have no minimum wattage load, so they are therefore fully compatible when powering individual or multiple LED lamps. An important consideration when purchasing an LED driver is whether you require a constant current, or constant voltage driver. To power 12 Volt LED lamps a constant voltage driver is required. The lamp must be connected to the power supply in a parallel circuit when using a constant voltage driver. LEDs that do not require a constant voltage use a constant current driver. Constant voltage drivers require a fixed voltage. The LED loads are added in parallel across the output of the driver until maximum output currents are reached. For all striplight installations the correct sized driver must be used.